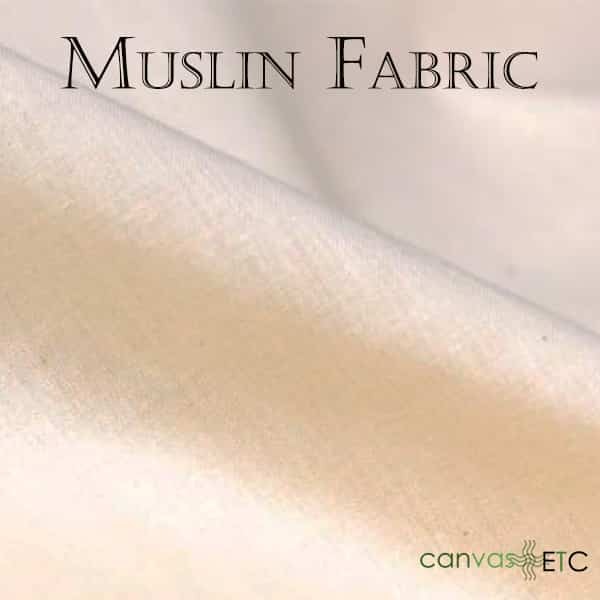 Muslin fabric is made from 100% natural cotton, and is quite soft and easily dyed for any application. It is durable and inexpensive so it works well in so many applications, and which are further defined. Muslin Fabric – NFR Natural | 126″Muslin fabric was first encountered as early as the 9th century by European traders in Iraq! This fabric was such a sought-out fabric, that even Marco Polo had a profile for it in his book, The Travels. Muslin gets its name from the town in Iraq where it was first discovered (Mosul). Iraq was initially believed to be the birthplace of muslin, but it’s true beginnings were in Bangladesh. Muslin moved around Europe and Asia at a rapid pace and by the 18th century, it was found in abundance. French designers became obsessed with its various benefits and soon the most elite wore garments made of cotton muslin. While most of Europe adored muslin, the British imposed strict rules over its manufacture. As they had colonial rule in Bangladesh, they imposed harsh tariffs which eventually destroyed the ability to make Bengali products like muslin. They brought in their own goods but wouldn’t allow the export of Bengali products, severing their ability to have an independent economy. 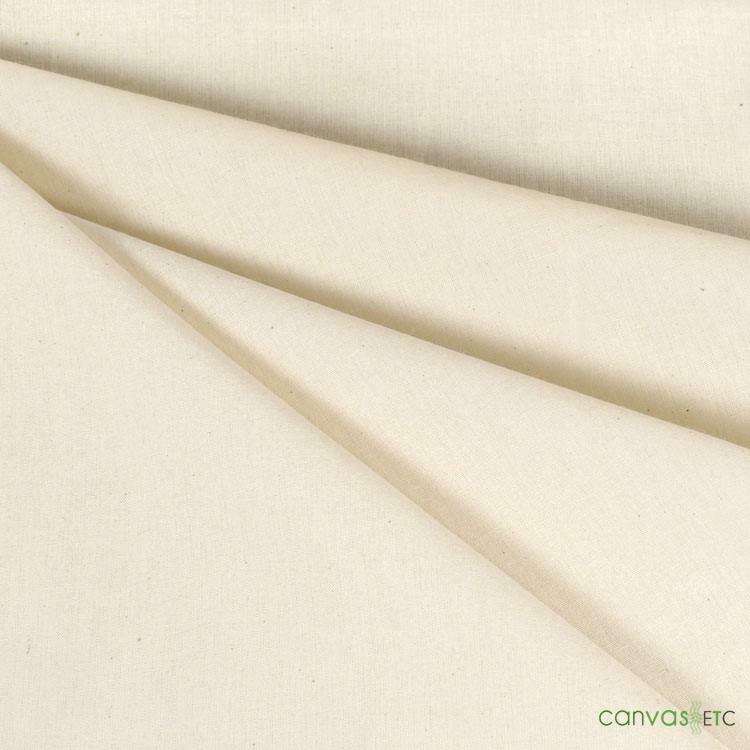 Muslin fabric works well for seamstresses and clothing designers in that it’s used for rough designing purposes. When a designer works on clothing, usually muslin cloth stands in the end fabric’s place. 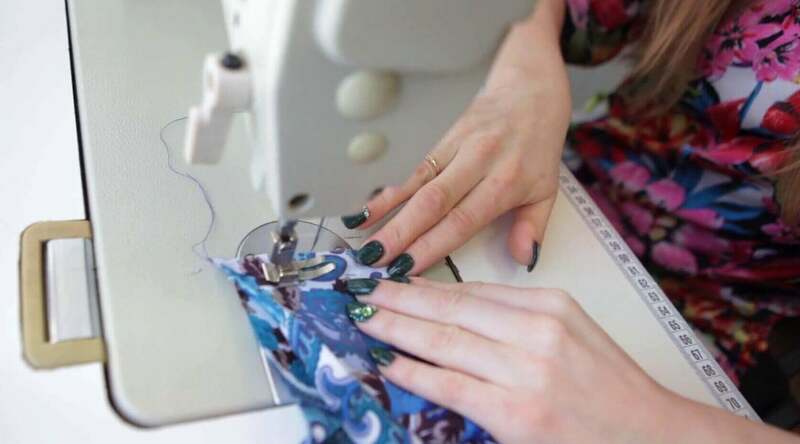 Meaning, a designer will create several rough designs of their pieces with muslin before using the fabric that’s intended for the final piece. Muslin starts with cotton. Cotton grows best in dry, warm climates. As cotton remains harvested and not created in a lab, this makes cotton fabric like muslin all natural. Once the cotton plant matures, it goes through several rounds of processing. After it’s picked and separated from the plant, the cotton goes through a carding process. Carding separates the cotton fibers, cleans and detangles them to become long, web-like strands known as silvers. From carding, combing occurs. This is thought of as a secondary, more detailed stage in cleaning and prepping the cotton. Combing focuses on the shorter fibers that aren’t elongated during the carding process. After carding and combing, the silver strands go through additional stretching to become longer, tighter yarns that wind onto bobbins. These bobbins, called roving bobbins are what’s used in the creation of different cotton-based fabrics. Fabric manufacturers place roving bobbins onto machines that spin the yarns into fabrics like muslin. When unbleached muslin was first handmade in Bangladesh, they attributed its high quality to the cotton. The cotton would grow along Meghna river in Dhaka. This unique strain of cotton associated itself as the finest, softest cotton for muslin fabric making in the world. Muslin and Cotton: What’s the Difference? As detailed, muslin cloth is a form of cotton fabric. Most wouldn’t think it would allow for differences with the most common cotton fabrics, but that isn’t necessarily the case. Muslin is still very popular today in areas of the Middle East and Europe as it was in the 18th and 19th century. While cotton is universally known to all, muslin works better in warmer climates for its light, gauzy feel. While cotton is usually known as a breathable fabric, it’s not considered as breathable as most muslin. Muslin’s breath-ability in the summer is ideal. Muslin fabric does come in medium weight and thicker varieties, but it’s typically pretty lightweight. Also, it’s usually 100 cotton, meaning there aren’t synthetic fibers woven with cotton when making muslin. It’s 100% all-natural cotton. It varies in texture like other cotton fabrics. While it’s offered in coarse variations, it’s most popular is its soft, delicate texture. This texture works best for garments and blankets for infants. Other cotton fabrics vary in weight extensively. Depending on the style of cotton fabric, you could seek out fabrics that are heavy duty like cotton duck canvas or lighter and blended like 50/50 polyester and cotton. Overall, the little differences between common cotton fabrics and muslin fabrics add to muslin’s general appeal and choice over other cotton made counterparts. Backdrops: The use of muslin fabric for backdrops is a game changer! This sturdy fabric can be easily painted and manipulated to create backdrops for theater applications or for portrait photography sessions. Quilting: Muslin fabric is a staple for quilters! Used for things such as foundation piecing or quilting fabric backing, our muslin is a cost- effective fabric for all of your quilting needs. Blankets: Our superior muslin works perfectly to keep you warm! Our NFR muslin is soft and supple, and is ideal for swaddling blankets for infants or for comfortable couch throw blankets! Curtains: Muslin is up for any challenge, including drapery! Muslin works beautifully for indoor or outdoor home décor curtains to shade your favorite areas! Muslin fabric’s versatility and unique beauty make it so easy to use for all sorts of applications and finished products. Cheesecloth: Use inexpensive muslin to sift your creation. Whether you love making cheese or baking and using flour that needs sifting, muslin works well as cheesecloth. Gauze: Keeping unbleached, machine washed muslin cloth around for minor medical use saves the day. Cover up cuts and keep them clean with our muslin. Facial Cleansing Cloths: Keeping your face clean is a must. Our natural muslin cloth works as a gentle exfoliant cloth to leave your face bright and beautiful.